19 Edo Communities Appeal For Phone Services – Royal Times of Nigeria. 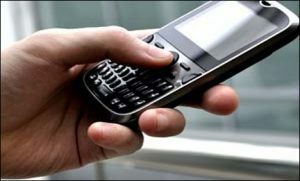 Nineteen communities in Owan West Local Council area of Edo on Tuesday appealed to telecom network providers to provide phone services in their area. They said that phone services would link them with the rest of the world. Mr Edeki Aigbogun, the Spokesman for 17 of the 19 communities that make up the Iuleha Clan, made the appeal in Lagos. Aigbogun said that it had been hectic linking relatives outside the communities in the absence of phone services. According to him, the communities are Ukhuse Osi, Obola, Okagboro, Oshofo, Eruere Osi, Oralla, Uruoe, Arokho, Ikhin, Ugbedu, Ago, Ago Igbirra, Ikpeyan 1&2, Ivbieleke, Okeho, Oromen, Ivbiodohen, Oarha and Iloje. Aigbogun said the residents initially depended on the services of MTN, Glo and Airtel, but the services later became epileptic few years later. “After a while, these networks disappeared and sometimes re-appeared with a bar at night at a particular spot. “It became difficult to link relatives; the residents in the communities are more than 1.5 million people,” he said. Aigbodun, a retired staff of First Bank of Nigeria, said that aside from Uzebba, Ivbiuru and Ukhuse Oke where there were telecoms formations, none of the other communities could reach each other. Mr Dada Okun, the leader of the state-assisted vigilance group in the area, said that curbing crimes in the communities had now become a challenge. Okun, who resides at Uzebba, said instead of calling his men in the other communities on phone, he had to visit them on daily basis for an update on the security situation in the area. “In most cases, petty thieves have escaped with their loots due to lack of communication,” he said. The traditional ruler of Eurere, Chief Shagari Oni, told NAN that his community was ready to assist any of the network operators wishing to install mast in the area. According to the traditional ruler, there is a mast at Ukhuse Oke, which is few kilometres away from the other communities, but he said its capacity and reach are limited. He said that residents in Eruere often had to converge at a place at night where they could get network service to make calls.